1 (20 oz.) can crushed pineapple, well drained. 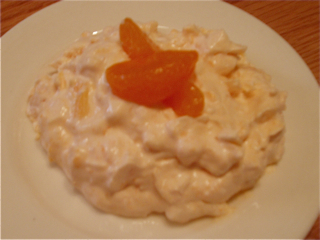 Mix cottage cheese with both Jell-O’s in a large bowl until Jell-O is dissolved. Can substitute a different flavor of Jello and/or fruit. Aunt Dee brought it to a family gathering and my kids loved it. They kept asking me to make “Aunt Dee’s Salad” when we got home… I had to call Dee because I had no clue what they were talking about. I would sometimes make it and then hide it so I didn’t have to share with my kids. It’s very refreshing.